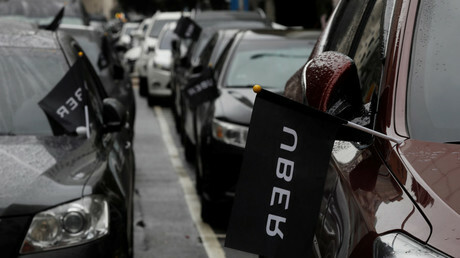 A suit brought against Uber by an autonomous car firm has yielded more explosive allegations against the ride-hailing service, including that specialized teams were used to carry out covert operations to nab trade secrets. The allegations were published in a letter on Friday by a Northern District of California court, where a legal wrangle between Waymo LLC and Uber is taking place. A subsidiary of Google, Waymo has accused Uber of unlawfully obtaining company secrets. The case stems from Uber’s acquisition of an AI software firm owned by Anthony Levandowski, former manager of Waymo. The letter, from lawyers representing former Uber intelligence manager Richard Jacobs, was sent in relation to a separate case. However, it contains claims that Uber knowingly violated corporate law by destroying, concealing and falsifying records “with the intent to impede or obstruct government investigation”. The existence of the letter as evidence was unknown until November, leading to a court postponement. Other allegations included in the so-called Jacobs letter are that an analytics team in Uber was allowed to “impersonate riders and drivers on competitor platforms” in order to collect information on app security, as well as pricing structures and incentives. Revelations in the document have already been referred to in court, with Jacobs previously saying he did not stand by the letter’s statement that he was aware of Uber trying steal secrets from Waymo. Uber said in a statement to Forbes that some of the claims have not been verified. “While we haven’t substantiated all the claims in this letter – and, importantly, any related to Waymo, our new leadership has made clear that going forward we will compete honestly and fairly, on the strength of our ideas and technology,” an Uber spokesperson said. The document also claims that multiple Uber surveillance teams, guided by people with intelligence agency backgrounds, infiltrated a private event at a hotel in 2016. Private conversations with executives from another company were allegedly recorded. “In at least one instance, the LAT [CIA-trained] operatives deployed against these targets were able to record and observe private conversations among the executives – including their real time reactions to a press story that Uber would receive $3.4 billion dollars in funding from the Saudi government,” the letter claims. A wiretap was also allegedly carried out to investigate an allegation of sexual harassment. “Uber did not tell the participants that the call was being recorded,” the letter states. RT.com has contacted Uber for comment on the letter’s contents.